On April 15, 1997 Major League Baseball Commissioner Bud Selig mandated an unprecedented edict. It was never before witnessed in any American professional sport. Selig ordered all Major League Baseball teams to officially retire the #42 jersey in honor of Brooklyn Dodgers great Jackie Robinson. Selig’s historic move recognized Jackie Robinson on the 50th anniversary of his 1947 debut. On that day Robinson became the first black baseball player in the modern era to cross the color barrier that existed in the sport. It’s hard for us to image today, but Jack Roosevelt “Jackie” Robinson’s bold, courageous decision to break the color line in 1947 opened the gates for other worthy, yet unfairly discriminated against, black baseball players. Thanks to Robinson, other talented black baseball players quickly followed and begun playing on other previously all white teams in Major League Baseball. As a player with the Brooklyn Dodgers, #42’s fortitude also kindled dialogue beyond the baseball diamond when it came to our country’s ugly segregation policies. Many attribute that Robinson’s brazen baseball move of crossing the color barrier helped propel the long overdue and ultimately successful Civil Rights Movement. Robinson’s heroic and individually spectacular personal life story was told in the motion picture 42 (release date: April 2013). 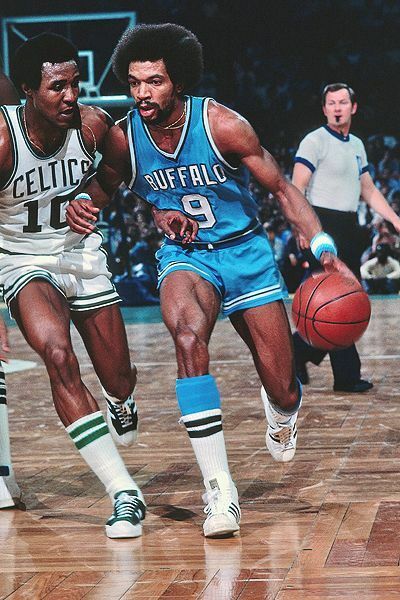 It chronicled Robinson’s struggles and success as one of America’s most respected athletes ever. When he joined the Brooklyn Dodgers in 1947 as a 28 year-old rookie, #42 overcame significant public scrutiny as well as regular cruel and unnecessary racial abuse. He was the target of ugly taunts, knock-down pitches and hateful insensitivity directed at him because of his skin color. The son of a Georgia sharecropper and a Southern California domestic laborer, Jackie Robinson immediately proved his mettle and demonstrated his athletic excellence. Despite the racial abuse he suffered, Robinson rose above the fray. Instead of fighting back on the low ground, he immediately made an impact on Major League Baseball and quickly became a rising star. Robinson was voted Major League Baseball Rookie of the Year in 1947. Soon after, he won both the National League batting title and the National League Most Valuable Player Award in 1949. Jackie played his entire ten year career with the Brooklyn Dodgers. A first-time ballot Hall of Fame inductee, Robinson’s career accomplishments included six all-star games, a World Series Championship in 1955 and impressive lifetime stats of a .311 batting average, 1,518 hits, 137 home-runs, 734 runs batted in and 197 steals. In addition to being selected to Major League Baseball’s All-Century team, Jackie Robinson was named #44 on The Sporting News’ list of top 100 baseball players ever. As a result of what he accomplished after formally hanging up his baseball cleats in 1956, this remarkable athlete became a cultural icon. 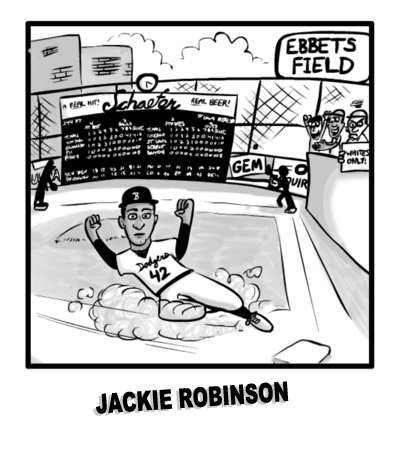 Robinson is widely admired and credited for overcoming other barriers beyond the baseball diamond. He broke additional color lines that existed in mainstream America at the time. ABC Sports hired Jackie Robinson as the first ever black sportscaster ever to cover Major League Baseball. In the late 50s, Robinson crossed a business barrier and became the first ever black Vice President of a major United States corporation when appointed by Chock full ‘o Nuts Coffee. Before his death in 1972, Robinson accumulated a never-to-be duplicated resume as a distinguished retired athlete. Besides his Major League Baseball Hall of Fame induction, Robinson chaired the NAACP. Plus, he received our country’s two single greatest non-sports related individual honors; i.e. the Presidential Medal of Freedom and the Congressional Medal of Honor. TIME Magazine named Jackie Robinson among the top 100 most influential people of the 20th Century. TIME Magazine’s ranking not only honored a most worthy athlete, but also a courageous American who helped transition our country away from its ugly discriminatory past.